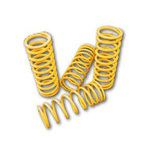 Coil Springs suitable for the Range Rover Classic to 1985. Inc. VAT: £16.37 Inc. VAT: Info UK VAT charged at 20%. Ex VAT £13.64 Ex VAT Info Outside of EU and EU VAT registered companies only (not UK). Inc. VAT: £17.62 Inc. VAT: Info UK VAT charged at 20%. Ex VAT £14.68 Ex VAT Info Outside of EU and EU VAT registered companies only (not UK). Inc. VAT: £18.36 Inc. VAT: Info UK VAT charged at 20%. Ex VAT £15.30 Ex VAT Info Outside of EU and EU VAT registered companies only (not UK). Inc. VAT: £18.56 Inc. VAT: Info UK VAT charged at 20%. Ex VAT £15.47 Ex VAT Info Outside of EU and EU VAT registered companies only (not UK). Inc. VAT: £27.78 Inc. VAT: Info UK VAT charged at 20%. Ex VAT £23.15 Ex VAT Info Outside of EU and EU VAT registered companies only (not UK). Inc. VAT: £17.05 Inc. VAT: Info UK VAT charged at 20%. Ex VAT £14.21 Ex VAT Info Outside of EU and EU VAT registered companies only (not UK).